I took a short detour off the highway (summer 2017) to drive through Scotia, Nebraska. 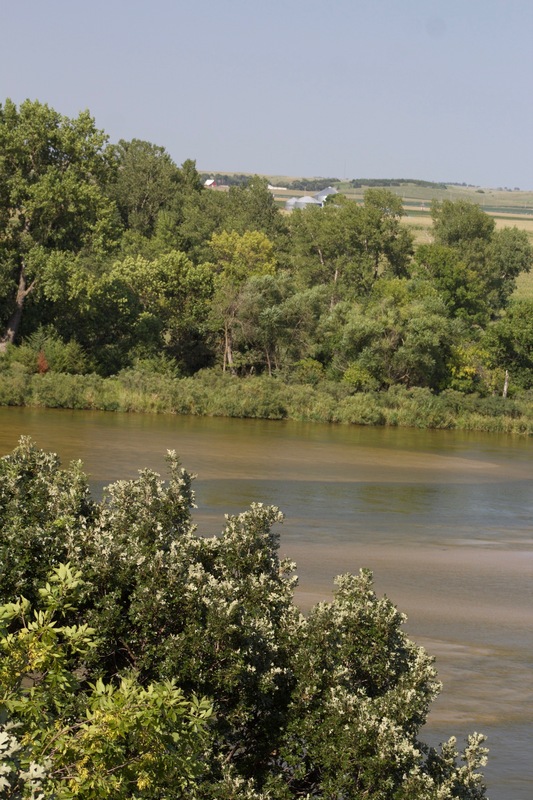 It’s about 170 miles west of Omaha, rolling farm country, near the North Loop River. I drove through in the late afternoon after businesses were closed, so wasn’t able to check out the Heritage Center. 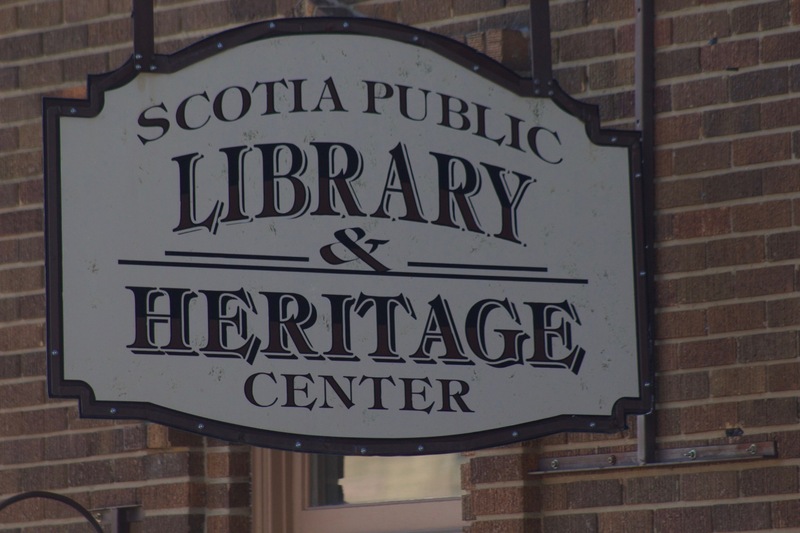 Scotia was founded in the 1870s, named after the homeland by an early settler, Samuel Scott. It became the county seat in 1874, but later lost that designation to Greeley, due to population changes related to the new railroad lines (very brief summary). Scotia is home to a chalk mine, the only one in the state for over 50 years. 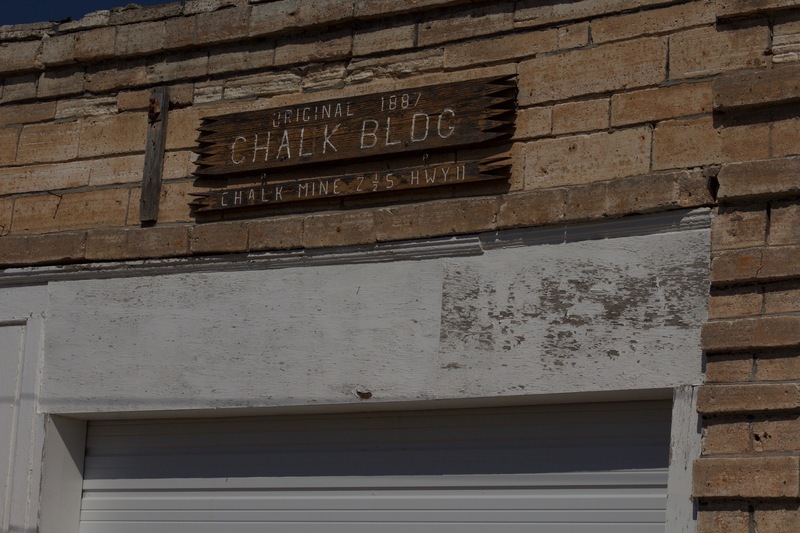 Chalk was shipped to Omaha for processing into 71 different products, from blackboard chalk to paint. Some early buildings in Scotia were built of chalk blocks, and one is still in use today. 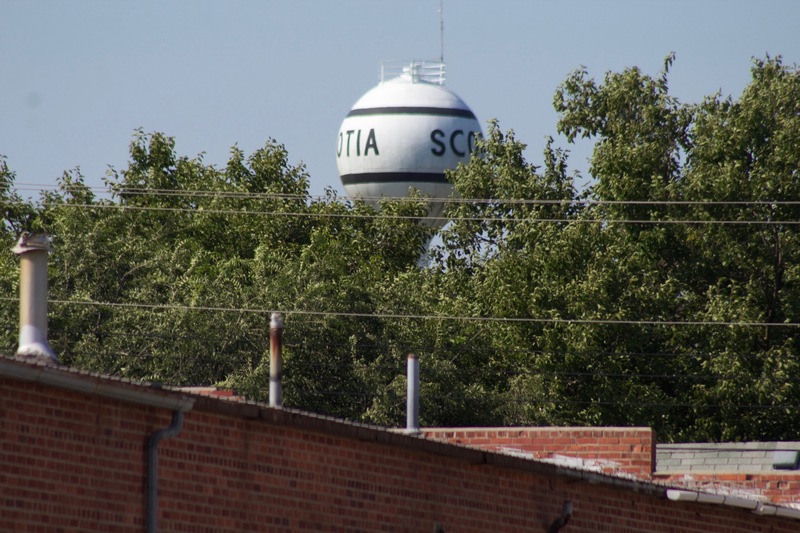 It’s a bit smaller than our Scotia, with a population of just over 300, but it is a Village also.